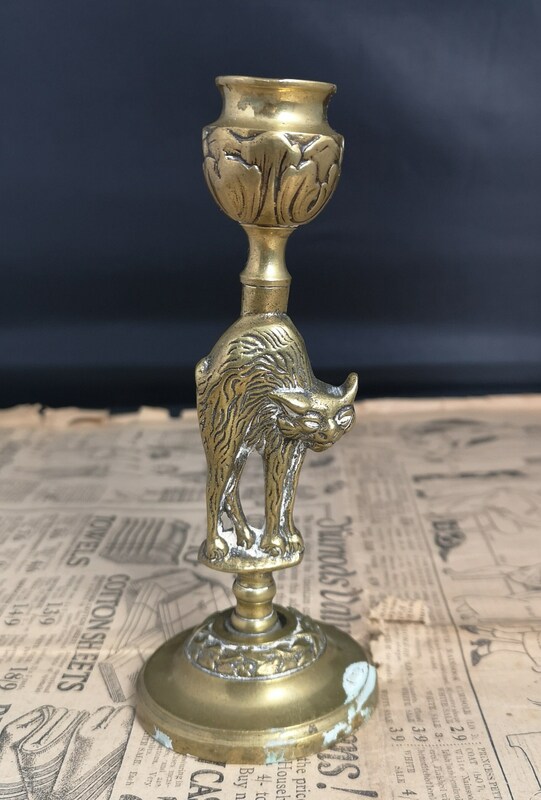 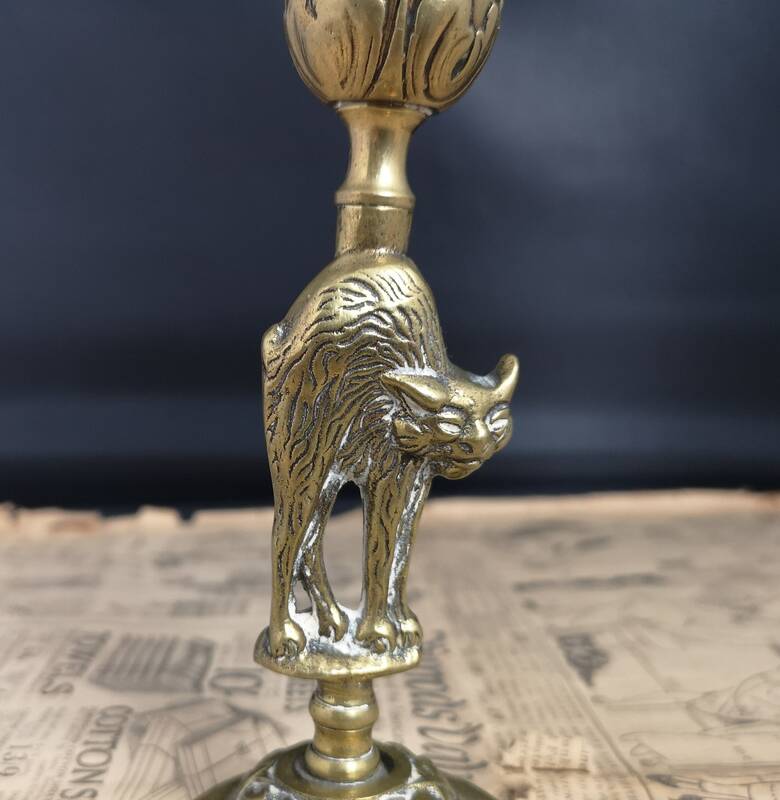 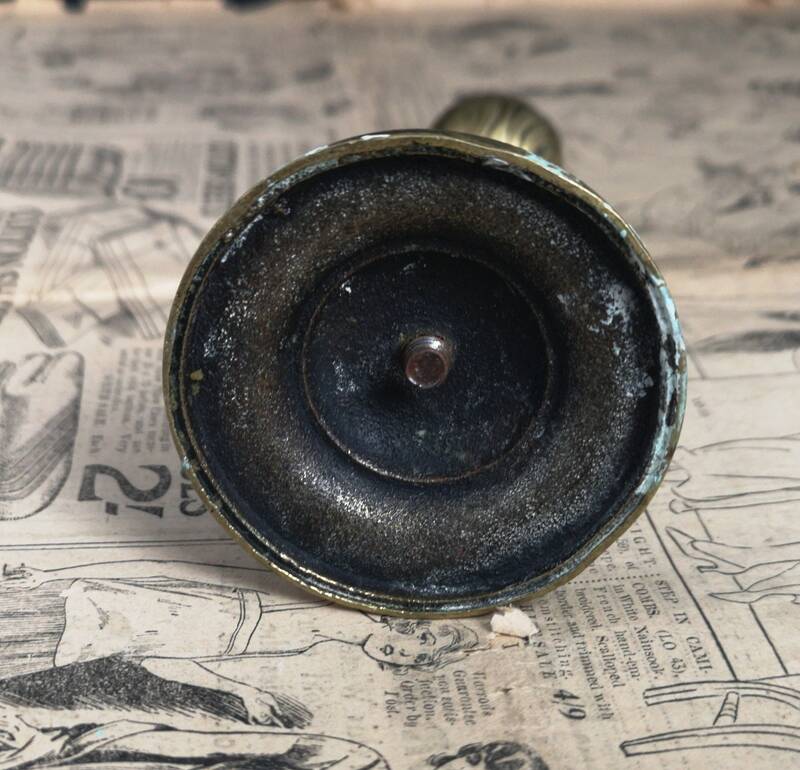 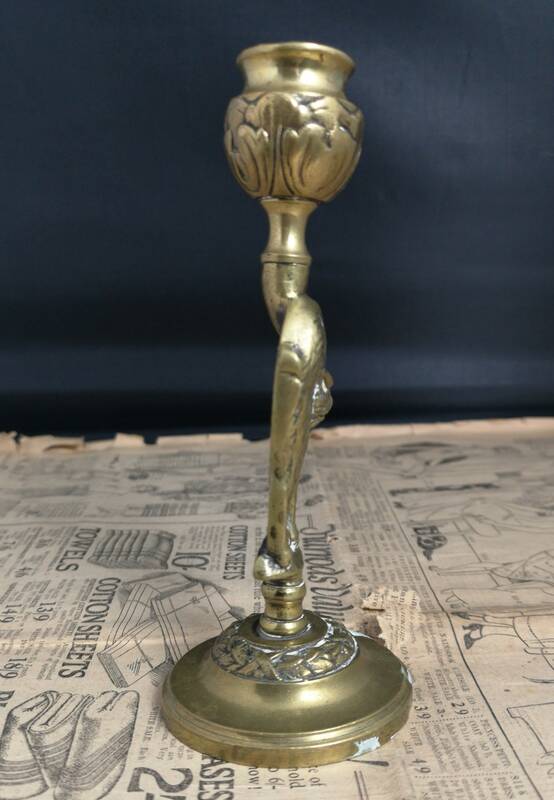 A rustic old Victorian Manx cat candlestick with a decorative base and top. 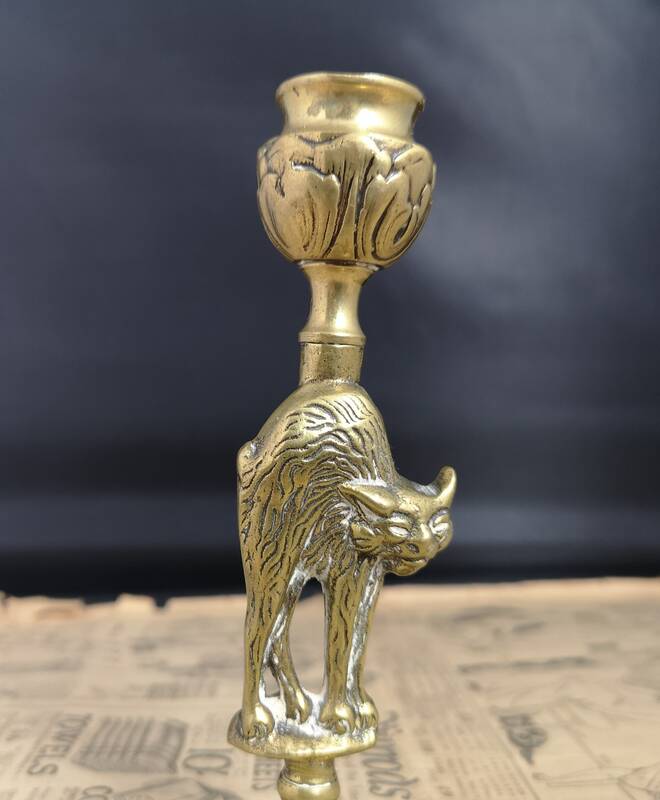 The Manx cat has his back arched and makes up the centre body of the candlestick. 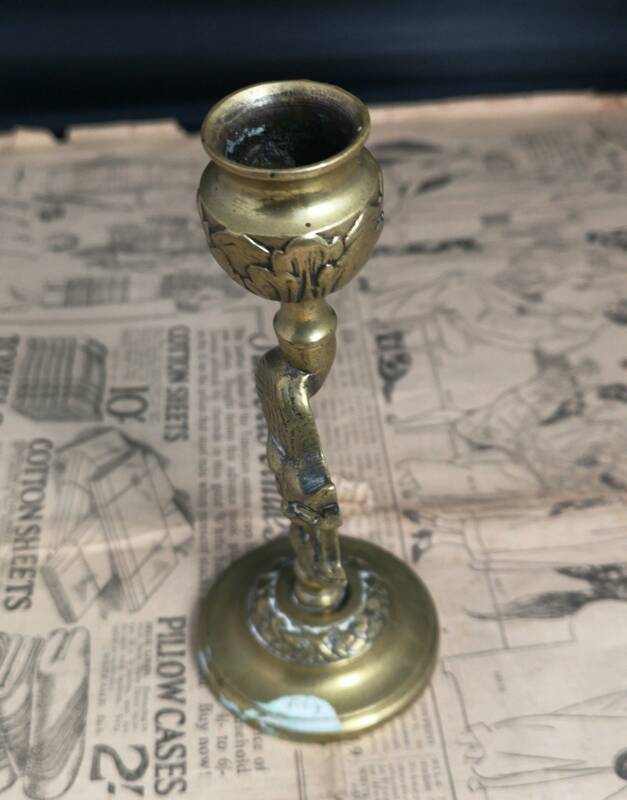 It has a lot of wear and tear to it, lots of remnants of old brass polish and it stands at a bent angle. 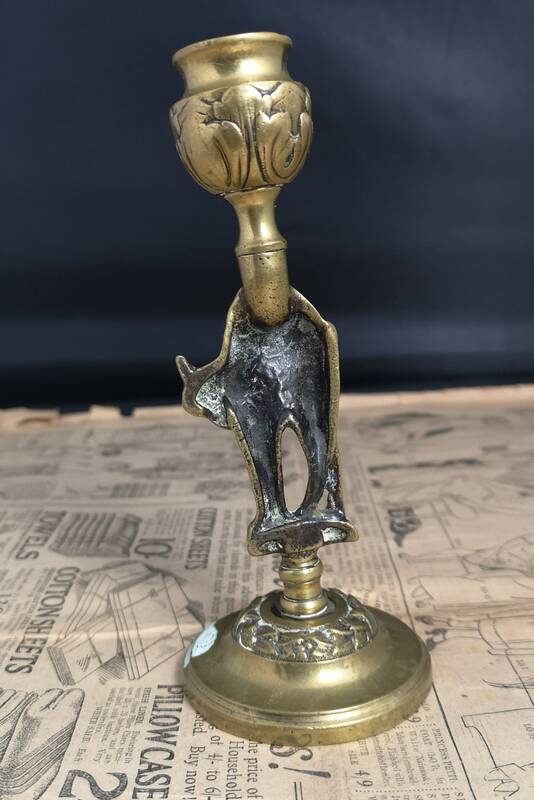 A nice novelty piece though that could be worked on.